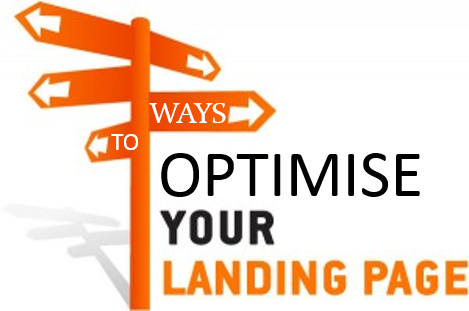 Landing pages are one of the best ways to convert your audiences into customers. An effective landing page leaves a profound impact on the readers and makes them take action that you need them to make. This, in turn, generates money for your business. Designing a landing page is not that tricky task, as it may seem. Here are some of the things that you may consider to increase the conversation rates of your landing page. With mobile phones turning into smartphones, more than half of the traffic on a page comes through mobile devices. To cope with this, your website or web page should be made mobile friendly. Ensure that your page is responsive and reader do not require to zoom in to read a tiny font. The principal purpose of the landing page is to turn your audience into customers. If your landing page has distractions or other prominent elements, your audience might move in that direction. It is therefore important to eliminate these factors and rather highlight the Call To Action items where you want your audience to go. Inspire of blankly describing your offer; it would be best if you discuss the benefits of your product or service. This message should also closely relate to and fit in the daily lives of the audience. The landing page should give something valuable to the readers. IF your landing page content is high enough, your business should also provide value to the customers, not only regard content but also, in the forms of additional benefits, offers or gifts on a purchase. Xerox says if the content is presented attractively, regarding both eyes catching content as well as inviting images. It is observed that 80 percent of the audience is attracted to a piece of content that have bold colors or requesting pictures. On the way to convert your audience into customers, it would be the beneficiary if you ask the minimal feedbacks from your audience. Make the conversation easy by making them input the minimum amount of details. The process of conversion should be easy, and without avoiding the unnecessary form fields, you need them to fill in. Once your audience knows what quality products or services you have for them, it should be simple for them to communicate with you. Your landing page should contain all contact sources so that your audience might reach you quickly to make a deal or even to get more information about your business. In most of the cases, a reader when browsing through the internet will hit a video button under a title that seems interesting. IT is best, therefore, to include a video on your landing page that quickly and efficiently describes what you have to your audience. Reviews and Testimonials act as trust building factors to your page. They work as efficiently as personal recommendations from friends or family. A few reviews from the users of your product or services acts great to invite new customers. Including small testimonial videos from highly satisfied users also serves as an excellent customer builder. Although people put in a lot of efforts to design a landing page, it must also be considered that there is no such perfect formula for a successful page. You might need to use a mix and match of some elements to generate money from your online presence. You might also need to consider things such as the audience type, their geographical locations as well as current trends in the market to rank high among the competitors. Finally, you will discover the right things you need to flag your brand at the success.